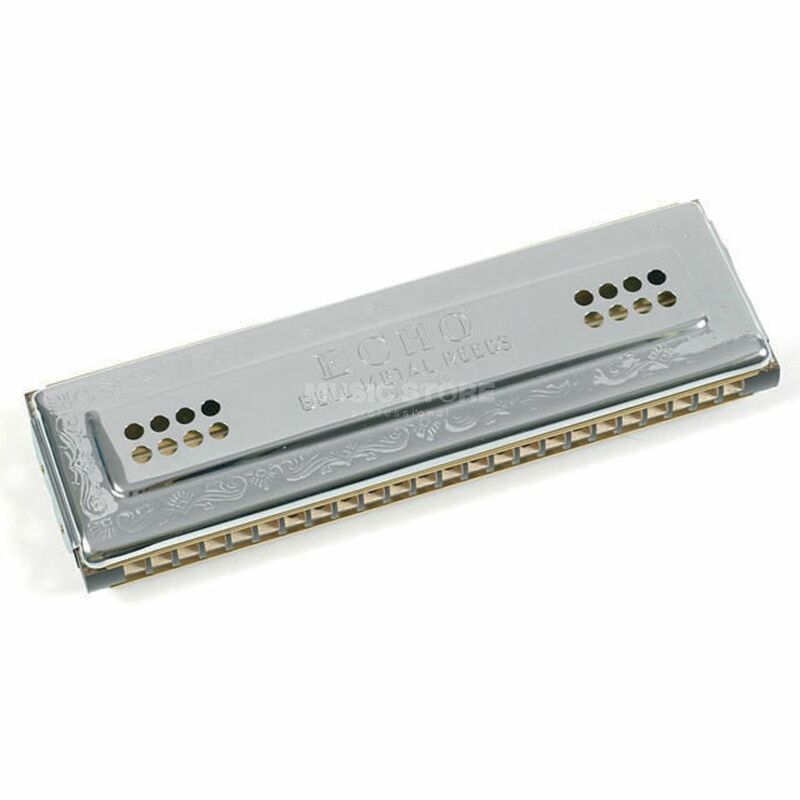 The Hohner Echo Harp 96 C/G Harmonica is a harmonica, in the keys of C and G, featuring 96 reeds (2 x 48), with brass reed plates, a maple comb, and includes a case. The models of the Echo Harp series are traditional tremolo harmonicas. They all feature a high-quality maple wood comb and come in four different sizes, each offering a different tonal range, depending on the musical requirements of the player.